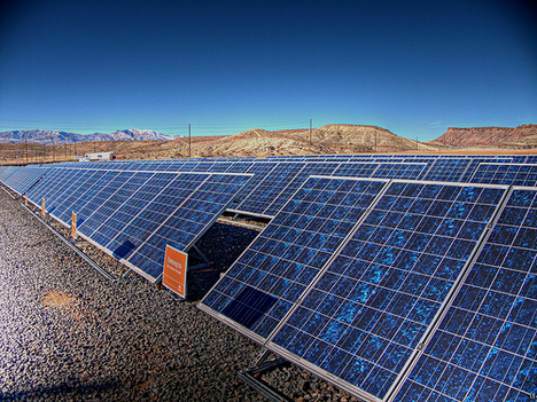 Arizona-based First Solar announced yesterday plans to construct the world’s largest solar plant in Ordos, China. When completed in 2019, the 2,000 megawatt Ordos solar farm will produce enough power to provide for 3 million homes. It’s a development that makes China, the second largest energy-using country, one of the biggest players in the solar energy game. It seems like a new “world’s largest solar plant” or “world’s most efficient solar cell” is being announced every day, but the Ordos solar farm is an especially big deal–the 25 square mile, multi-billion dollar plant makes other solar projects look tiny by comparison. 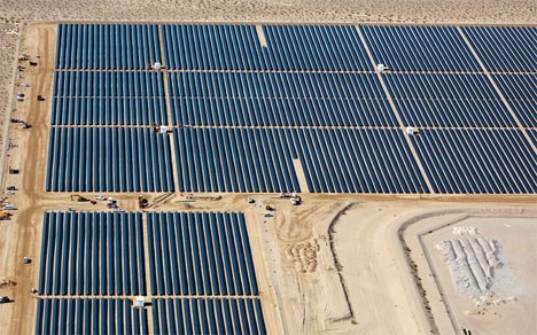 Other major projects in the works, such as First Solar’s 550-megawatt project in California and the US Army’s 500 megawatt solar thermal project in the Mojave Desert, don’t even come close to matching Ordos. Still, renewable energy projects get scrapped or pared down all the time. That means it will be worth keeping an eye on Ordos, which is scheduled to begin the first of its four phases of construction in 2010, to see if it is actually completed. If it is, the country that is now the world’s biggest polluter could easily also become the world’s biggest renewable energy consumer. they'll still keep polluting as they are now even on renewables. in fact the pollution may likely only increase, noone's going to stop i tihnk just cause they're on solar. still, solar is one of the most exciting ways to go. This is fantastic news! If China starts with empowering 3 million homes with solar power - what's next? A hundred million homes? Arizona-based First Solar announced yesterday plans to construct the world's largest solar plant in Ordos, China. When completed in 2019, the 2,000 megawatt Ordos solar farm will produce enough power to provide for 3 million homes. It's a development that makes China, the second largest energy-using country, one of the biggest players in the solar energy game.